Featuring Blu-ray technology, all the Blu-ray tools, your gateway to entertainment, will provide powerful performance. 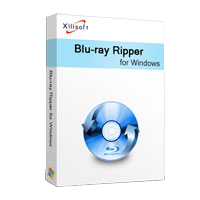 Xilisoft Blu-ray to DVD Converter is a Blu-ray DVD copier and Blu-ray to DVD creator that can back up Blu-ray discs to your computer and copy Blu-ray movies to common DVDs. And it allows you to add watermark/effects and trim/crop/split video.